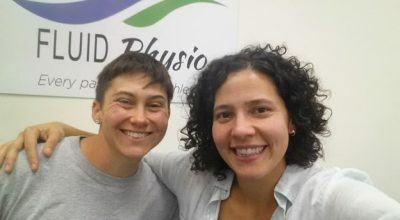 After attending a clinic at my CrossFit gym where Dr. Gianna discovered the root of my shoulder pain, I did a few sessions with her in order to rehab the area. Scheduling was flexible and convenient, as sessions can be done in the comfort of one’s own home. Dr. Gianna is very knowledgeable, personable, professional, and efficient. I was on my own with exercises she provided and reviewed with me after only three sessions, the pain is nearly gone, and I have more body awareness for all the tough weightlifting movements. Definitely recommend Dr. Gianna’s services!